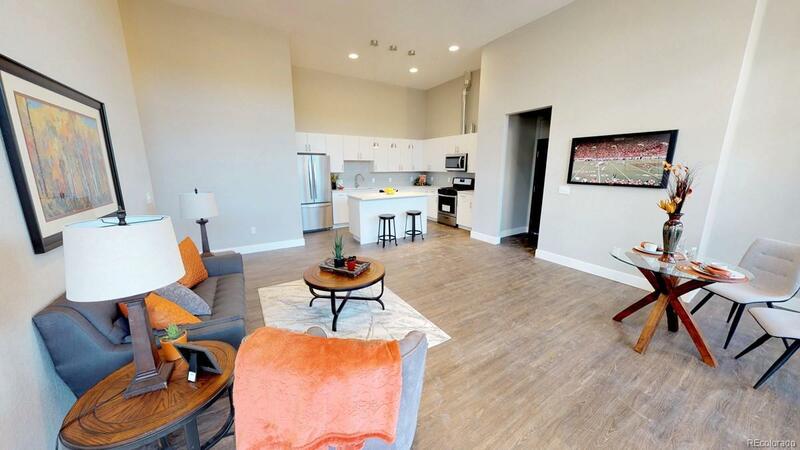 Steps away from the University of Denver campus, this newly-built 837 square foot two-bedroom condo is perfect for those looking for a new community in the highly-desirable and vibrant University Park neighborhood. Boasting an open-concept kitchen and living area, high ceilings, large well-lit windows, and a balcony, this space is ideal for entertaining or for relaxing. Enjoy modern finishes like quartz countertops, glass mosaic backsplashes, and stainless steel appliances, as well as a secure lobby, a large shared rooftop deck, and a private fitness center. Observatory Flats is surrounded by restaurants, parks, and shops and sits halfway between downtown and DTC, both easily accessible by public transit. For a limited time, the developer is offering a free washer and dryer and $5,000 towards closing costs or upgrades on unit reservations that will be owner occupied. Visit ObFlatsDenver.com for more information.